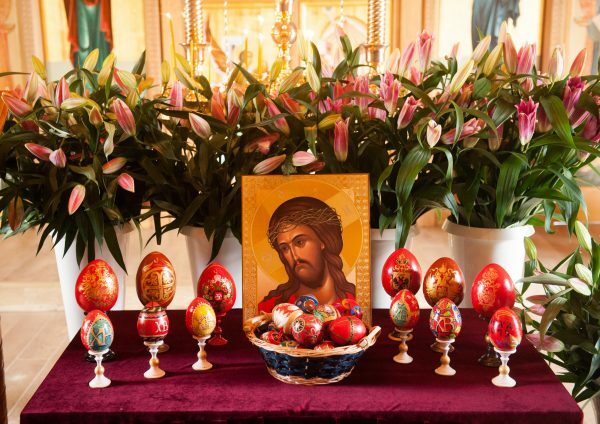 In recent months I have come to the conclusion that the best place to understand the significance of Pascha is in a cancer ward, or a hospice for the dying, or by a deathbed. When one stands in any of these terrible places, one enjoys an immunity from the lies of the world. For the world tells each one of us that we are a race of immortals, destined never to die. Surveying our surroundings in these places reveals that this is not so. Both the cosmetic industry and the funeral industry conspire in their own ways to persuade us that we will remain young and wrinkle-free forever, and our media cheerfully picks up and conveys this message. We know, of course, that it is nonsense, but we buy into it anyway. Youth is celebrated and culturally portrayed as if it is eternal, and the dead are rarely allowed to be seen. People expire privately in hospital rooms, and then are rushed down to the morgue. Funeral directors (there are happy exceptions) do their best to anesthetise the survivors to the horror that is death, and often the corpse is cremated before the funeral (now renamed the “celebration of life”). Often in of these services, the corpse is not present, and if it is, the casket is usually closed. Our forefathers chanted, “In the midst of life we are in death” (the line is from the grave-side service in the Anglican prayerbook), but no longer. In the midst of life we now rarely encounter death. In the old days, people died at home, and were prepared for burial by their loving and grieving family. Now we have people for that. All of this culture of denial falls away from us when we survey our surroundings in cancer ward, hospice, or by the deathbed. Whether or not we die of cancer, all of us will die. It reminds me of the old children’s riddling rhyme: “Doctor, doctor, will I die? Yes, my child, and so will I.” Our cultural denial notwithstanding, we are not a race of immortals, and all of us will one day lie upon our deathbeds. As a priest, I have stood by a few of them. And then one realizes afresh what Pascha really means. 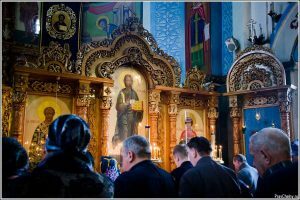 Pascha is not simply a liturgical feast, something celebrating the end of a rigorous Great Lent. And it is not simply the happy historical ending to our Lord’s life, an appendix added after the crucifixion saying, “And they all lived happily ever after”. 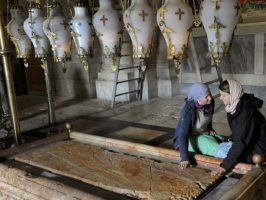 Pascha is God’s promise that the moment of pain we endure by the deathbed is not the final word. For now we must be submerged in the horror and obscenity of death, but God’s plan is indeed for us to be a race of immortals, and one day this plan will be fulfilled. Hurtling down the years to our deathbed is not a journey to oblivion but to joy. When death’s cold hand finally closes our eyes, we will open them in paradise, and after our body returns to the dust from which it was taken, it will one day arise and be raised and transformed. 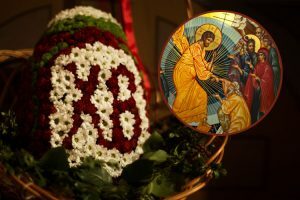 Pascha is not simply about Christ’s happy ending, but about ours. If one disbelieves in Christ and Pascha, then our cultural of denial of death makes good sense. We can’t do anything about the fearful fate which awaits us, so why think about it? Eat, drink, be merry, and watch television. But if what the Church says about Christ and Pascha is true, we don’t need the lies or the denial. We can look death in its fearful face and smile and say with St. Paul, “O death, where is your victory? O death, where is your sting?” Death may prowl the cancer ward or the hospice and may roar at us as we lie on our deathbed, but it will be gone soon enough. Christ is risen from the dead, trampling down death by death, and upon those in the tombs bestowing life.